Affiliate Marketing can be a very lucrative online business if you know how to do it right. And product review is one of the effective ways to apply affiliate marketing and earn unlimited passive income with it. In case you are new to affiliate marketing, this is basically the method wherein you insert affiliate links to recommended products, and you earn a commission when people buy these products through affiliate links. Read more about affiliate marketing and how it works here. I love the sense of earning passive income with affiliate marketing because once you publish one content (article), it will continuously generate you income every single day. In this article, you’ll be guided on how to make high-quality product reviews to increase your daily sales. 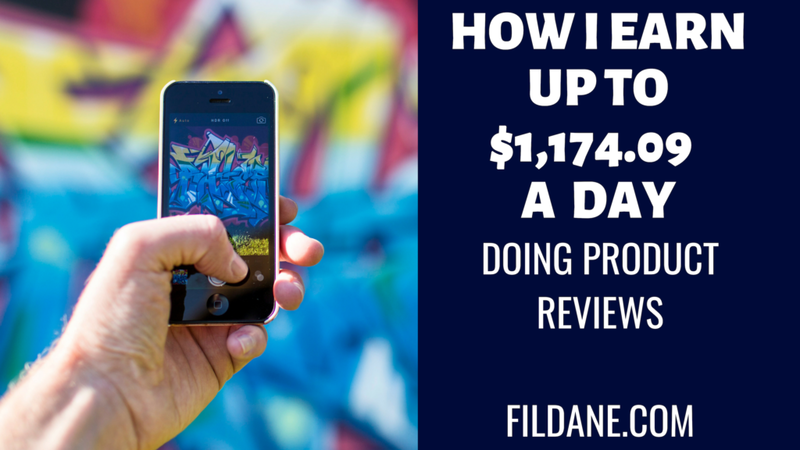 Welcome to today’s topic: “How To Make Up To $1,174.09 Per Day Doing Product Reviews? Why Create A Product Review? How To Create A High-Quality Product Review? Content Marketing is mostly applied in writing articles or posts on your blog. This is where you write high-quality contents which are based on your own experience and/or comprehensive research. In this article, I will be focusing on this type of product review because this is what I love doing that earns me money passively. The advantage of a written product review is that you can skim or make a scan reading. Some people like to read rather than watch a video and some people do like to watch a visual product review. This type of product review is very popular on Youtube. Most of the time, visual product review complements or supplements a written product review. Basically, you’ll just create a video of your product review and then insert it into your content. Some affiliate marketers love filming instead of writing though. Creating a high-quality product review is one of the difficult and demanding tasks when you just got started with the affiliate marketing business. However, this method is very powerful in generating income online. Try to recall the last time you wanted to buy something online. Let’s say you wanted to buy the latest model of a particular mobile phone. The first thing you want to do is to search for this product on Google, right? You probably want to find out about the specifications – you can, of course, read that on the manuals. However, if you wanted to find out what other people say about this mobile phone, then you’ll probably search for more info about it. Then, that’s when a subjective product review become very useful so you can give people more information about a particular product. Well, a correct product review needs to be as comprehensive as possible since people need more information about a particular product they are interested in. 1. Title: Choose an eye-catching title of your product review so people would likely to click your article on the search engines results list. 2. Introduction: Write a short introduction but make sure this will thrill your readers so they’ll keep reading on. 3. Overview of the product: Below is the things you need to include in the overview. All the elements above are the usual elements that you can add to your overview. Sometimes, not all of them are applicable to a particular product so just remove it if you find it irrelevant. 4. What is (Product name)? – Write about the product on your own words and insert an affiliate link to the official website so your audience can read more about it if they wish to. 5. Founder/Creator: You can eventually talk about the owner of the company or creator of the product. Are they credible and reliable? This is not always applicable. However, take note that scam sites will never use their real name or never disclose any owner at all. 6. Product’s technical information: Write about your experience with the tools and services that this product has. Or gather information from other users experience and write them in too. 7. Customer Service: Have you contacted the customer service yet? What was it like? Were you satisfied? Write about a scenario wherein you have had a conversation or needed help from the customer service. Then write whether it was satisfying or not. 8. Pros and Cons: You probably know how to write this part. You just need to enumerate what you like and dislike, the positives and negatives or the advantages and disadvantages of the product. And the most important thing: Are there any Upsell? 8. Bonuses: Are there bonuses and what are they? Are they useful? 9. Verdict: This is also called the summary, conclusion or the final thought. This is where you indicate your recommendation about the product and why. 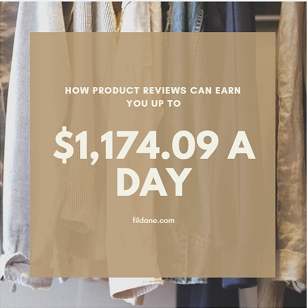 Earning a substantial income up to $1100+ a day doing product reviews can be a tough goal. However, with affiliate marketing concept, you can surely achieve it when you know how to do it right. Remember that affiliate marketing is not a quick rich scheme but it’s a sure way to achieve online success as long as you don’t quit and you keep going. Creating product reviews is quite a demanding task and there are important things you need to remember in order to make sure you’ll earn money from them. You need to be willing to commit a time when writing product reviews because it could require a lot of time. Newbies in affiliate marketing find this very challenging as it’s a very systematic way of writing an article. It also requires thorough research. So, a product review should be very comprehensive as much as possible. And having the structure I gave you above, you can easily write around 1,000-2500 words per product review. Choosing a product is a crucial thing in the affiliate marketing business. First of all, you need to identify your niche and then, the related products you want to recommend. The best products to earn and ensure your passive income online – are the products with recurring sales. So, choose a product with recurring bills so you generate income month after month when people buy these products through your affiliate links. Which scenario do you prefer? 1000 sales of $20 each or 10 sales of $2000each? You can see that both scenarios give the same result of $20,000, right? Remember, there is no right or wrong with any of those scenarios. Some people choose to promote low-priced products because they can easily be sold. But some people choose high-end products so they can generate full-time income with just a few sales. Some products might interest you personally but you need to know what your audience’s interests are. It’s like putting your feet in your readers’ shoes. You can create a Frequently Asked Questions (FAQ). You can create questions about: what are the things they need to know, why do they need or want this product, what are the problems they might encounter, the flaws of the product, where can people buy the products best etc. Creating product reviews is also an objective task. When done correctly, it will look comprehensive and it should not be biased. And it doesn’t matter if it’s a sponsored product review or not. As the best practice, a reviewer (you) should not have any connection with the company to secure an unbiased review. So, you need to be honest with your reviews – as your credibility and reputation create your authority in your own niche. So, you definitely don’t want to recommend bad or scam products. As I mentioned several times, product reviews require thorough research. You need to know the product inside and out. A product’s technical information is simply not enough and you should not rely on PR or marketing materials you can find about the products. Your mere experience, researches, and qualified evaluation are definitely a must. The last thing you want to do when you are creating product reviews is to share your qualified judgment or verdict about the product. Make sure you only recommend high-quality products which are valuable and will help your audience. For instance, if you know that the product is bad or a complete scam, then state it CLEAR if this product is something to be avoided. Then, you can give your readers an alternative which is much better than the current reviewed product. Affiliate marketing is a great way to monetize your product reviews. Your earnings will not that be fixed. So, you can expect a day with completely NO sales, days with a little amount of income or days with BIG fat checks. 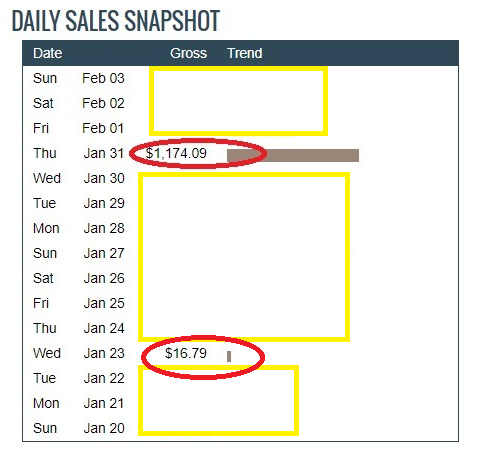 Take a look at my ClickBank Daily Sales Snapshots below taken today 3rd of February 2019. You can see the high-end product review here if you’re curious how it was done. Steal My Secret Weapon In Online Success, Click On The Button Below. While affiliate marketing is the best way to monetize your product reviews, Display Ads is something you need to consider whether you use it or not. Some people get annoyed with advertisements like google ads etc. However, this is a good way to supplement your income because Google will normally suggest products to your audience and if your audience clicks them, you will get paid for that too. Today, I love working for my own business from home. Affiliate Marketing is a type of business that has made many people a huge fortune. While some are earning around $10,000/month. This is what I’m doing and I love it. Earning up to $1,100 per day is not impossible with this business. You can earn much lower and much higher – there are no 2 days alike in this business but your efforts will surely get paid off. It’s a very lucrative business that you can be proud of. So, if you are not a fan of product demonstration or presentation, public speaking and certainly not a fan of recruiting your families and friends just to earn, then this is the best business for you. 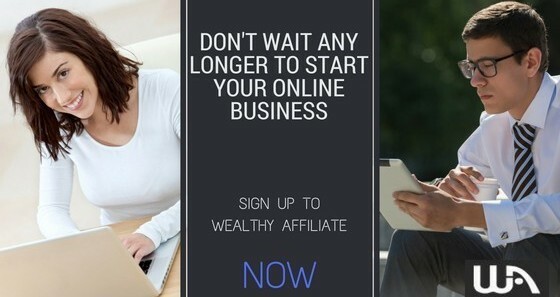 Start your affiliate marketing business now. 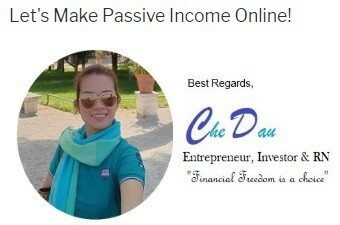 Earn while learn and build your passive income online.